Abolition of the Universal Social Charge, ‘burning’ the bondholders of nationalised banks, and demanding a negotiation of Ireland’s EU-IMF bailout deal. 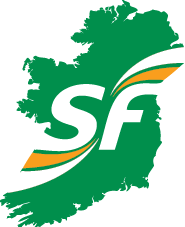 Jobs – Wants to create 160,000 jobs and training places via a job stimulus fund. Strategies involve a national development fund employing people on public works, a national entrepreneurship programme, support for digital media companies and a publicly-owned green tech firm. The banks – ‘burn’ bondholders of Anglo Irish Bank and close it. Health – End of ‘two tier’ healthcare system. Environment – will make Ireland a world leader in green energy through establishment of a green tech firm.